Curvaceous, more than any girl you have ever laid eyes on, the Beetle is everyone’s favourite little car… Its a delight to the eyes. Vikram owns a Beetle and like any piece of vintage, it indeed is owner’s pride and neighbors’ envy! This is a 3D image. You’ll need special red/cyan glasses to see the pic. It is a sweetheart. Its mood resonates with ours. If she falls sick then we get upset. Like these days she is recuperating and we have ordered for its parts from Germany. Vikram’s love for her reflects in his work also. He has shot 3D pictures and made a very romantic film around her (literally)! 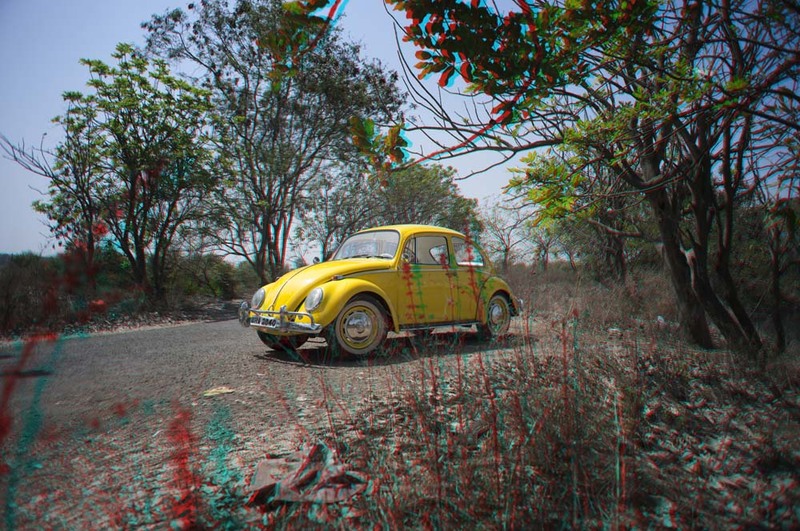 This entry was posted in Uncategorized and tagged 3D, Advertising, Artist, Beetle, Car, Creative, Fashion, Imagination, Moods, Photographer, Photography, Vikram Bawa, Vikram Bawa films, Vintage by Vikram Bawa. Bookmark the permalink.